This spring, in partnership with the George Mason University Law and Economic Center, the National Security Law Journal is excited to host Data Breach at the University: Preparing Our Networks, a Cybersecurity Tabletop Legal Exercise. With over 700 data breaches identified at educational institutions between 2005-2014, it is clear that colleges and universities are a prime target for cyber attacks. University networks serve a wide variety of user groups and house a wealth of information. According to the Ponemon Institute, the per capita cost of a university data breach is second highest only to the healthcare industry. The scenario for this day-long tabletop focuses on a data breach at a public university that has partnered with the Department of Homeland Security on research and development. Participants include representatives from the Department of Homeland Security, Department of Justice, Department of Defense, Department of Education, the Virginia Governor’s office, the MS-ISAC, and several local universities. During this tabletop exercise, we will explore the unique cyber security challenges of a university environment, interdependencies with other sectors, and the potential legal implications of a data breach. The event will take place on Wednesday, April 13, 2016; however, please note that attendance and participation in the event is by invitation only. Mason Law students who are interested in volunteering at the event should e-mail symposium@nslj.org for more information. 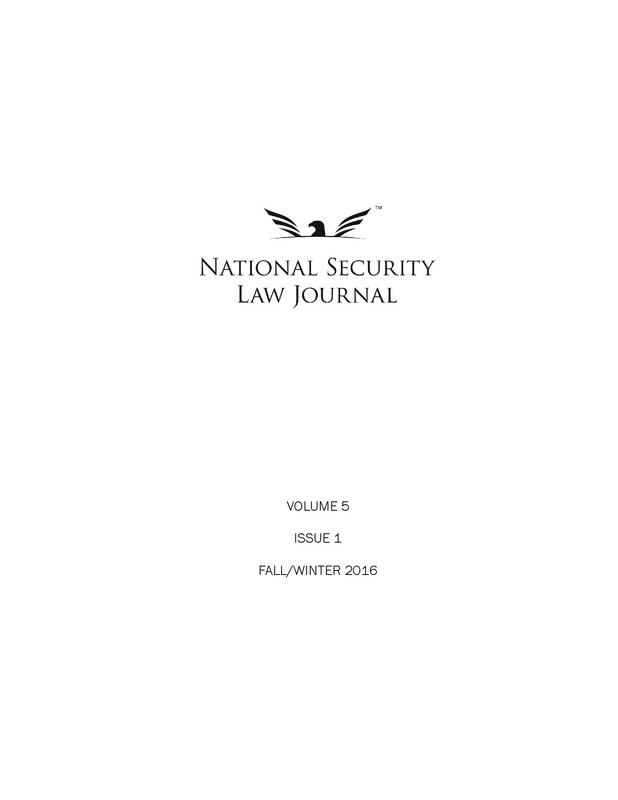 The National Security Law Journal at George Mason University School of Law has joined the American Bar Association’s (ABA) Standing Committee on Law and National Security as an official sponsor of the 2015 National Security Law Career Fair, which will be held Tuesday, October 20, 2015, from 1:00 p.m. to 4:00 p.m. at Georgetown Law. This event will be hosted on the Georgetown Law campus, 120 F. Street, NW, Washington, DC, on the Gewirz 12th Floor. Attendees are encouraged to wear business attire and to bring copies of their legal resumes. Light refreshments will be served. General (Ret.) Michael Hayden, former director of the National Security Agency and Central Intelligence Agency, headlined the National Security Law Journal’s inaugural symposium this past Tuesday. The symposium topic was Defending Against Cyber-Intrusions from State-Sponsored and Civilian Hackers. Hayden was joined by Suzanne Spaulding, Deputy Under Secretary for the National Protection and Programs Directorate at the U.S. Department of Homeland Security, and Ronald Lee, a Partner at Arnold & Porter. Dr. Mark Troutman, Associate Director of the Center for Infrastructure Protection and Homeland Security at George Mason University, served as the moderator.